Probably the best value in annual calendars - ever. The lavish praise watchmakers heap upon their watches in their own press releases is rarely worth much. But once in a while it is the truth: Longines describes its new annual calendar as possessing an “exceptional quality-price ratio”. 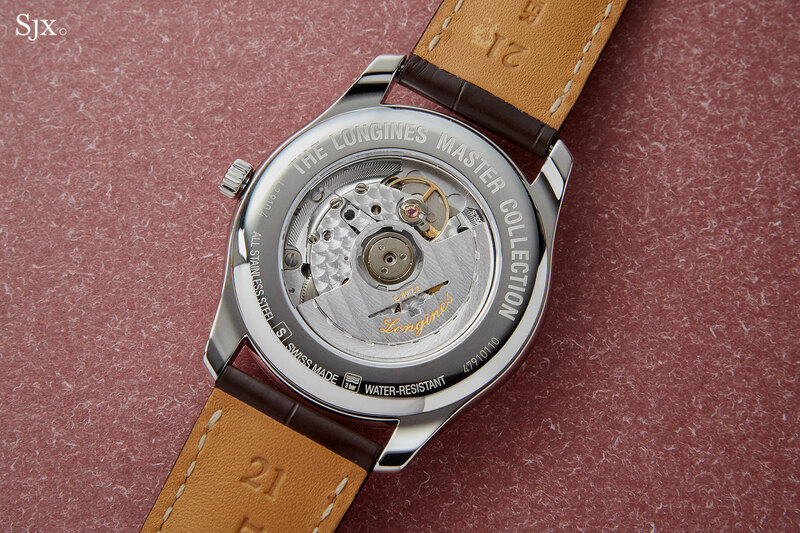 The Master Collection Annual Calendar is an extreme example of Longines’ honest and solid watchmaking. It’s an annual calendar, meaning the month and date can account for months with 30 or 31 days, requiring manual setting only once a year at the end of February. Both the month and date are conveniently set via the crown. 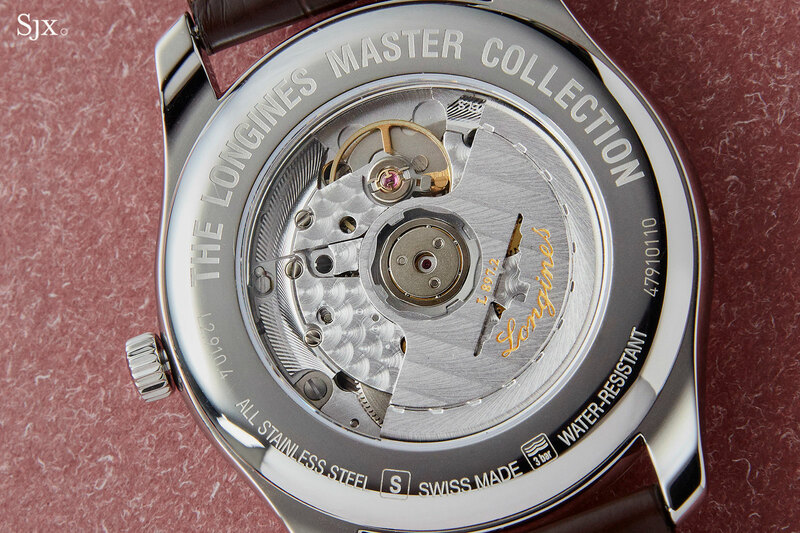 It’s powered by a movement made by ETA but exclusive to Longines. Based on the ETA A31.L81, essentially an upgraded ETA 2892, it is automatic and has a 64-hour power reserve. The movement is visible through the display back, and has been dressed up well for the price. The rotor is striped, while all the bridges are finished with perlage – done by machine on an industrial scale but still visually appealing. Notably, the annual calendar display is identical to that found on the pricier Omega Globemaster Annual Calendar. It would not be at all surprisingly if the calendar mechanisms are closely related, or even the same. On the front the watch sticks closely to the well established aesthetics of the Master Collection. The two classical options are black or silver stamped guilloche in a grain d’orge, or barleycorn, motif. A third dial option is the most modern, a metallic dark blue with radial brushing and baton indices. 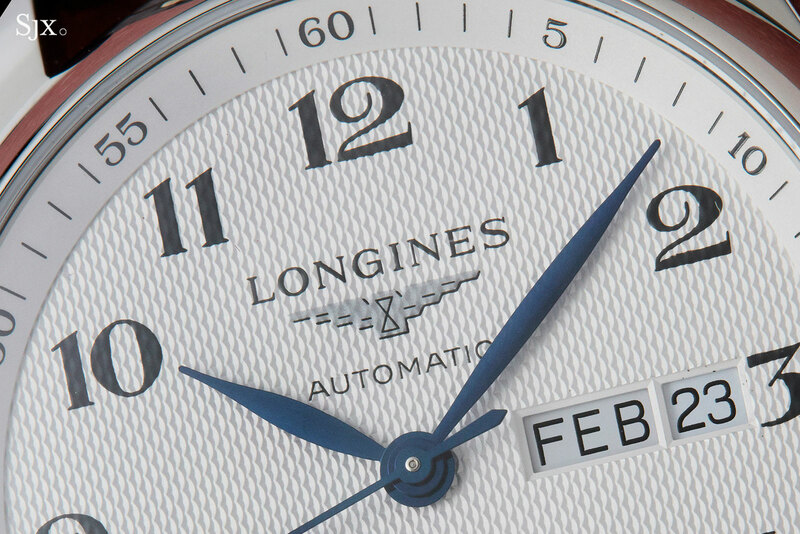 The dial finishing is simple – all of the markings and logo are printed – but attractive and well though out. The retro serif font used for the hour numerals suits the design, and is also used for the minute track on the dial flange. Likewise, the case is straightforward in form and finish, with a mirror polish on all surfaces. It’s 40mm in diameter and available only in stainless steel, with either an alligator leather strap or matching steel bracelet. 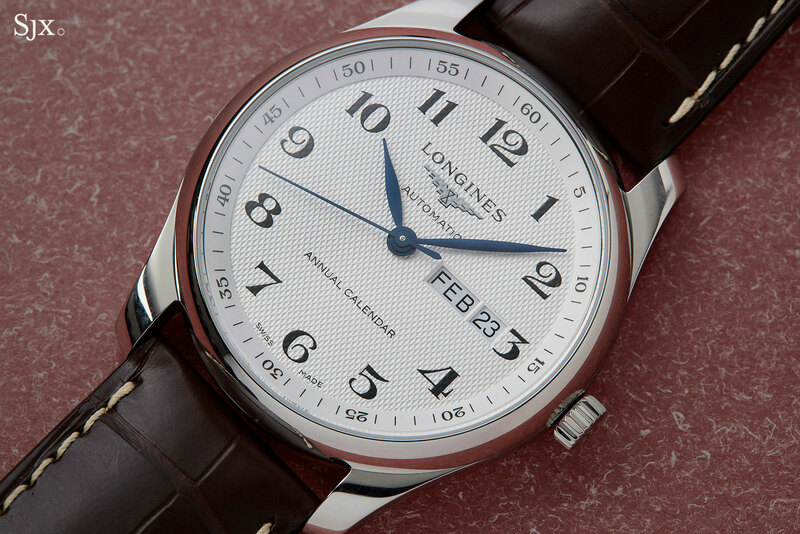 The Longines Master Collection Annual Calendar (refs. L2.910.4.78.3 or L2.910.4.51.7) is priced at US$2425 or S$3350. They will be available starting end May 2018. 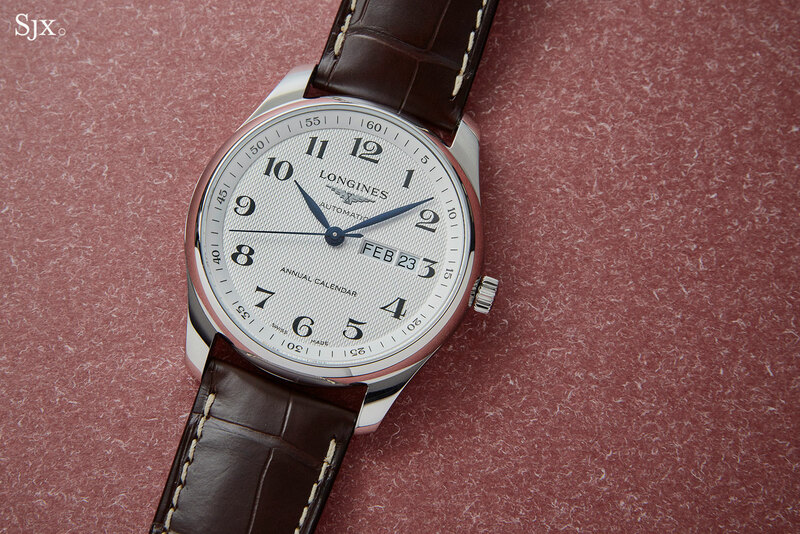 Longines' looks to First World War trench watches for its latest historical remake. The brand's entry-level calendar watch gets a face-lift. 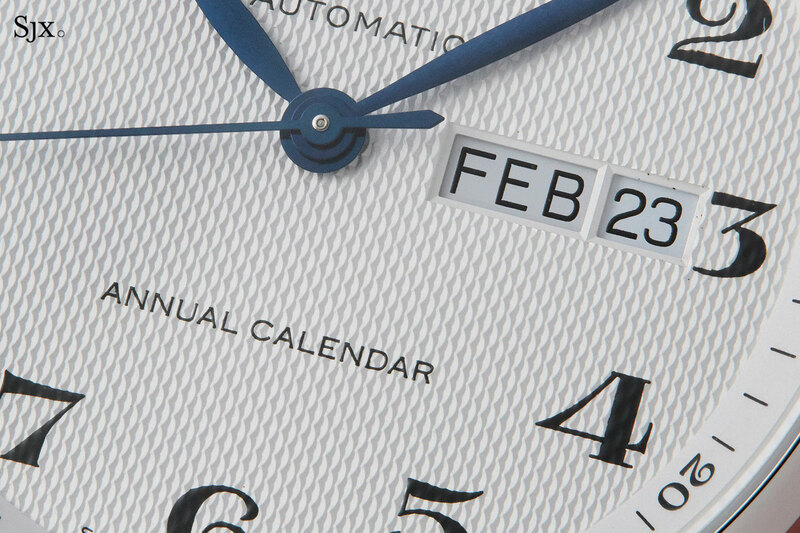 Tiffany & Co. has given its CT60 calendar wristwatch a subtle but major upgrade, endowing it with an annual calendar complication, while keeping the same styling and case.